In November, we announced Visual Studio for Mac, a fully featured IDE that we hope will help every Mac developer create mobile and cloud applications. We started with a solid foundation for mobile development using Xamarin, and cloud development using .NET Core. Over the past few months we have been working on porting C# code that was originally designed to work on Windows to the Mac. Luckily for us, the architecture of Visual Studio is so good that reusing the code has been a breeze. This has been helped by both the love and dedication that our Mac and Windows teams have, to create a great developer experience for our users. Here are some of the changes that we have made since then. In the latest release, we have completed the work to bring the rich HTML, CSS and JSON editors to macOS. You will get the same code completion, indentation behavior, and validation that you get on Windows for those file formats. When you install the update today, you will get to enjoy the glory of an IDE with a state-of-the-art web editor. We have polished and improved our .NET Core and ASP.NET Core support to make it even simpler to create your server code, either for your standalone web sites, or as a service backend for your mobile applications or your hosted services. We have upgraded our debugger to make async debugging as natural and simple as regular code – just like you expect from Visual Studio on Windows. To complement our improved .NET Core support, you can now publish your applications directly to Azure from within Visual Studio for Mac. Using the same publishing profiles and commands that you are used to. We also introduced support for C# 7.0, a big upgrade with many language improvements that you will love. The support is what you expect from Visual Studio with refactoring tools, live code checking and great IntelliSense. It is hard to pick favorite features in C# 7. I love pattern matching and I love the new native tuple support. Local functions, while not immediately obvious, has made some of my own code simpler and cleaner. As you have come to expect from us, we deliver first-class support for the latest versions of Apple and Google operating systems – including the just updated versions of macOS, iOS, tvOS and watchOS. Additionally, we are taking away some of the complexity involved in managing the signing certificates and provisioning profiles for your Apple-based applications, by integrating with the popular open source Fastlane project. Visual Studio now integrates with Apple’s macOS accessibility platform. We are committed to making the entire IDE accessible and we are very happy with the first steps that we have taken in this space. I hope that you take some time to try out the new features in Visual Studio for Mac and share your experiences with us. My team is committed to delivering developer tools that delight developers. We want to hear from you, and find out what parts of the experience can be improved and how we can make you more effective mobile and cloud developers. If you already have Visual Studio for Mac Preview installed, make sure you update to the latest version from within the app. If you haven’t tried out a preview yet, head on over to VisualStudio.com to download the latest one. Use Visual Studio for Mac’s “Report a Problem” or “Provide a Suggestion” dialog (within the Help menu) to provide feedback. Also, don’t forget about our Visual Studio and Visual Studio for Mac community forums, which provide a great place to leave feedback and learn from other developers. 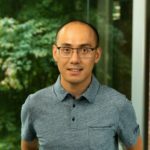 Miguel is a Distinguished Engineer at Microsoft, focused on the mobile platform and creating delightful developer tools. With Nat Friedman, he co-founded both Xamarin in 2011 and Ximian in 1999. 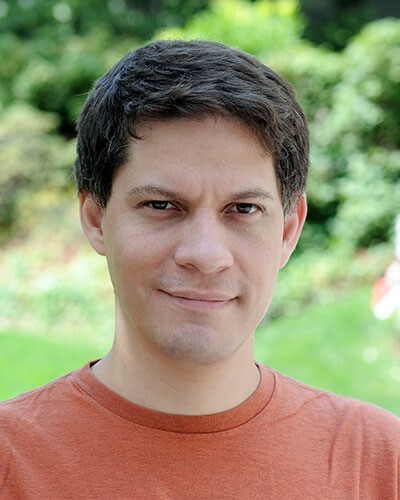 Before that, Miguel co-founded the GNOME project in 1997 and has directed the Mono project since its creation in 2001, including multiple Mono releases at Novell. Miguel has received the Free Software Foundation 1999 Free Software Award, the MIT Technology Review Innovator of the Year Award in 1999, and was named one of Time Magazine’s 100 innovators for the new century in September 2000.